So today I went through the last 150 days of trading on the Cowabunga system (Blog posts made in the “Pip My System” area of babypips). When I say 150 days of trading, I mean the last 150 posts made on the blog containing the results of the days trading. This is what I found. 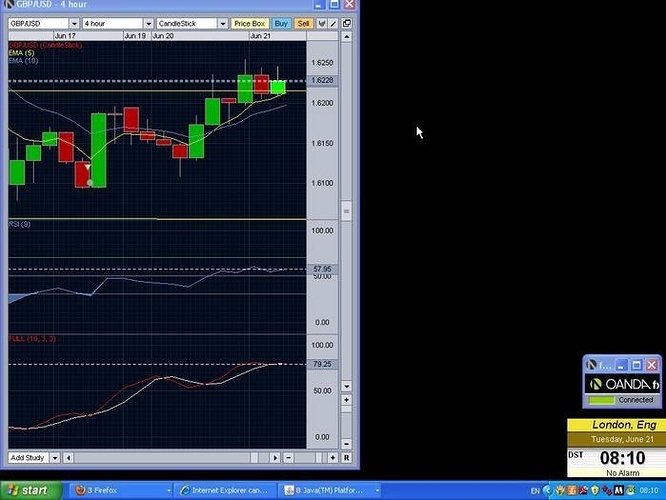 Today, I only looked for short trades, due to a clear down trend on my 3H chart. This WOULD be a valid entry however I wasn’t at my computer at that time. Sad… I coulda win quite a few pips. No other crossover came. Still waited for the price to drop a little in the green circle but a crossover didn’t form. Am I doing this right, kinda? lower time frame for price entry? anybody can help me on dz? Are you using the Cowabunga system?? If u are then yes, u have to drop down to 15 min chart and enter from there. Hey guys, um new here and I have a question too. Anybody has any idea about the Success rate of Cowabunga system? I’m new here and came to gain new knowledge. Did anybody hear anything about Anna Monti and her forex freebot ? There are a lot of stuff in the web but nothing specific at the same time. which forex broker shall I use with cowabunga system.currently I have a live account with etoro.com.but etoro do not have 4 hr chart facility. I opened a demo account with FXCM and OANDA. I am confuse which forex broker to choose to use cowabunga system. I’m trying the Cowabunga system whilst in the learning process and have a question about the main trend. And as part of the learning process I’ve written my own little indicator to tell me when all the signals line up to give a valid Cowabunga trade. In the setup guide PipSurfer explains, with a chart more than the actual text, that the main trend is determined (for down trend), on a 4HR chart as 5ema<10ema, rsi<50 and stoch main < stoch signal. If this is correct, then why was the trade outlined in “Cowabunga System Daily Update: Monday, 05/16/11” a valid trade when stochastics was clearly heading upwards? Co0ol… How do you set-up the email on mt4? Is the macd offered on Oanda fx practice correct for this system? Ok guy’s i have posted a few times to no avail . My query is simple and i ask for an experienced trader to have a look and set me right. Although not a newbie as such i am new to using the tools such as stoch ,macd ,rsi etc ,which are prevalent on Cowabunga. I am not fully 100% that i have my platform set up correctly according to the limited instructions available. I have also read the whole of this thread and am none the wiser ,in fact i am even a more confused. 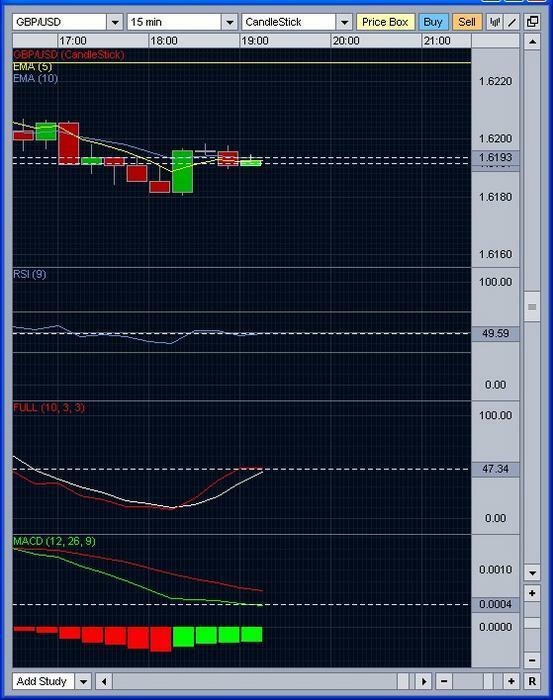 Attached is my screenshot from yesterday 20.6.2010 You will notice a cross over on the 12 candle. I was certain this was a legit move to the upside and i looked for a long trade after this as all my indicators suggested so. To my surprise Pip surfer posted his blog stating he was only looking for short trades the whole session. Something is clearly amiss with my understanding or my indicators. I am using Oanda Fx practice with full stoch and macd ,which is not the expo as required.